Volume, volume, volume. Your regular TV DVR is designed to record at most five or six things, while a security DVR could record 24 or more camera feeds at the same time. On the other hand, a security DVR is not designed to decode the feeds from your cable or satellite company. They really are two different things even though they have the same name. If you need a security or surveillance system, Solid Signal has a wide variety of security DVRs in many different price ranges designed to meet whatever your need is, whether it’s simple office surveillance or something really complex with multiple cameras, motion detection and the ability to alert your smartphone to what’s going on. A DVR for TV use has some sort of tuner in it. It can be an over-the-air antenna tuner, something that decodes cable TV, satellite, or a combination. It’s designed with features like real-time pause and rewind, and it’s designed to schedule programs for watching later. Everyone knows about those at this point. A security DVR also called a surveillance DVR acts completely differently. It’s designed to record many different camera feeds at the same time — sometimes up to 32 at a time — and it is constantly recording them, all the time. These recordings are stored until the hard drive is full and usually they get automatically deleted. DVRs for TV use generally record in full color and high definition with high-quality sound. Surveillance DVRs often don’t record sound and sometimes have poorer quality video, although this is changing. One thing that’s still common with surveillance DVRs, though, is that they don’t record full motion. In order to store more recordings on the same size hard drive, they will record only a few frames per second. This can give the playback a jerky appearance but full motion isn’t usually what you’re looking for — you’re looking to find out who was trying to break in. As far as I know, there is only one DVR that even comes close to letting you do both things. The DIRECTV Residential Experience, which is the DIRECTV system for hotel rooms, lets you use feeds from security cameras. Installing that system is usually a six-figure proposition so you’re better off getting a DVR for your cable or satellite system and a separate one for your surveillance needs. Despite the fact that they have the same names, they really are different systems and should be treated as such. If you’re looking for a DVR for your satellite system, consider some of these… while cable and antenna DVRs can be found here. 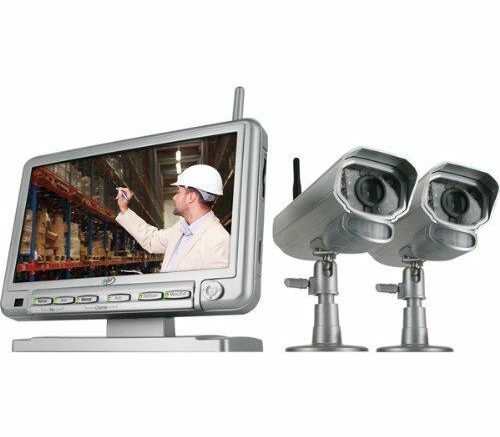 Solid Signal’s full line of security and surveillance systems can be found here. If you need a complete system, you might want to consider the pre-packaged kits we have available as well. Whether you just need something like a babycam or something capable of watching your whole warehouse, we have the parts and accessories you need!